This fabulous bathroom is designed by the talented Jordan Carlyle. 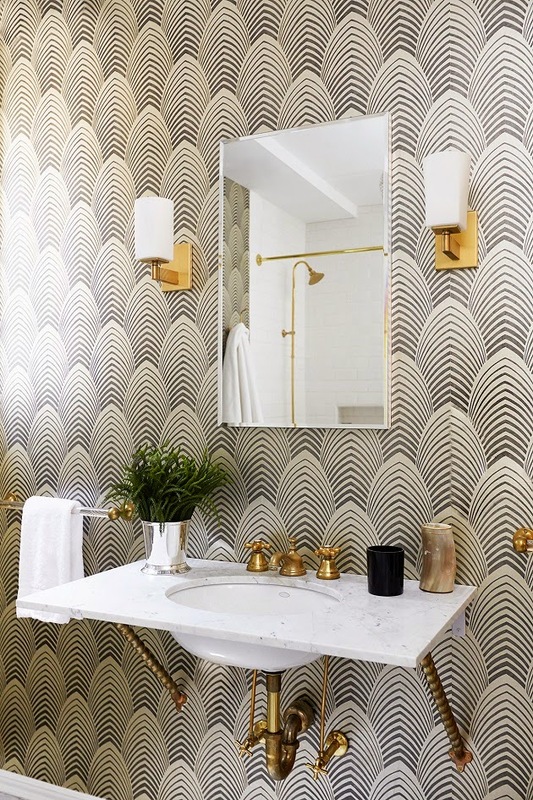 There is so much to drool about this gorgeous space, particularly the bold and beautiful wallpaper and the fabulous brass hardware. I really like how the designer keeps the accessories minimal and bathroom vanity simple to let the wallpaper and hardware be the star in the room. I absolutely love this stylish and inspiring space, what about you? Thoughts? This bathroom is what my dreams are made of...that wallpaper!! Do you know the source of this wallpaper?